The Transitional Chambers TV Lift Cabinet is available in any wood type and finish color. 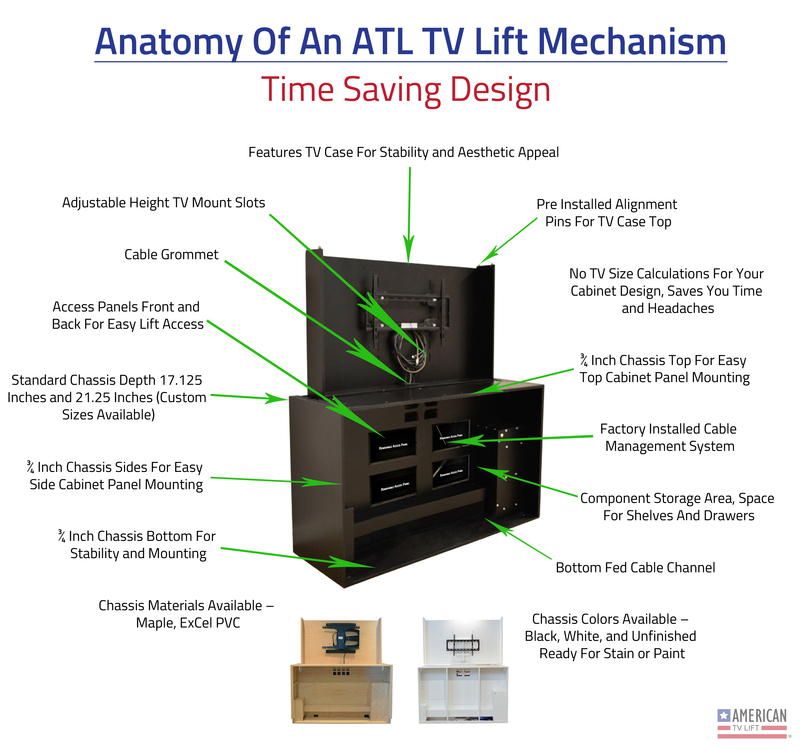 The top of the cabinet can match the bottom or it can be customized to a different material and/or finish (as shown in the images). The cabinet features 4 doors and 2 drawers for storage. The monitor is enclosed in a secure, finished to match, wooden TV case. 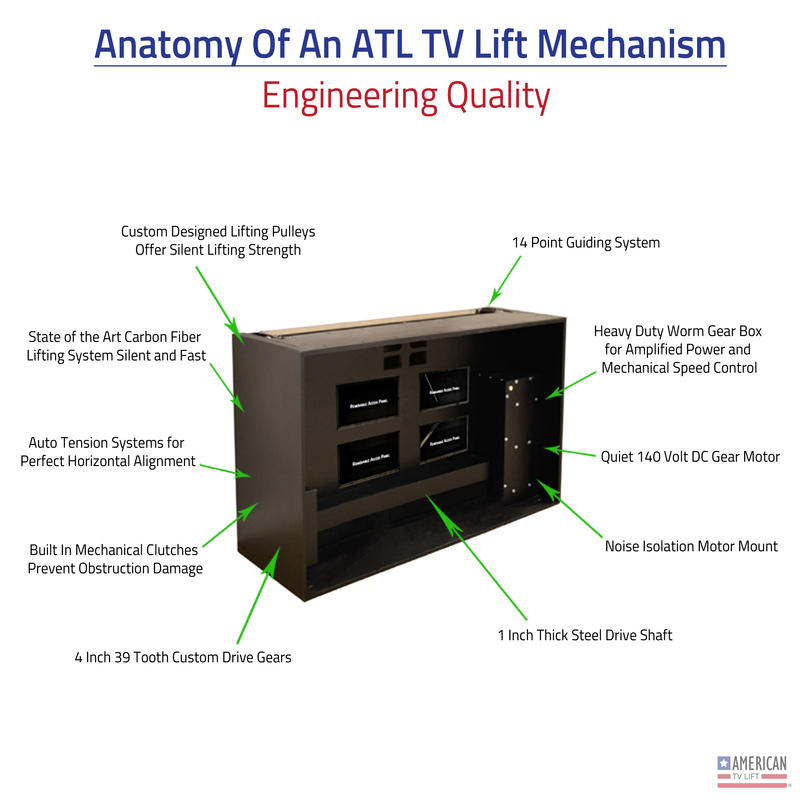 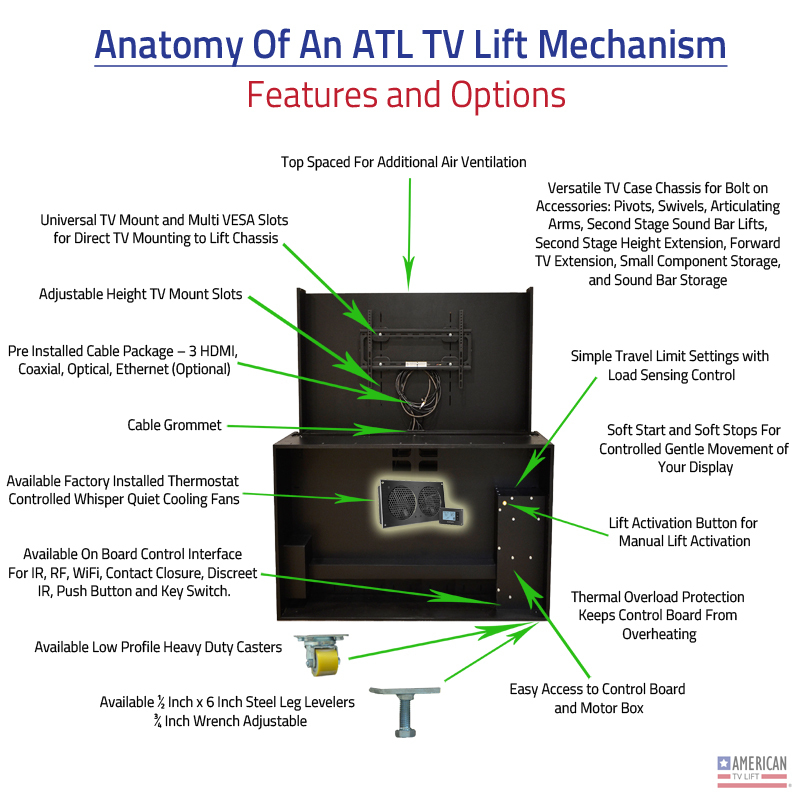 This provides an added level of strength, stability, and beauty not typically offered by other TV-Lift providers.